Hi everyone! This is day 21 of the 31 Day Challenge and this time I'm supposed to be "inspired by a color". Like many other participants of the challenge I'm a little confused about what exactly is meant by that, so I chose to be inspired by the name of a polish, like fellow blogger Sarah did from Chalkboard Nails (do check out her blog!). Wow this is really gorgeous! 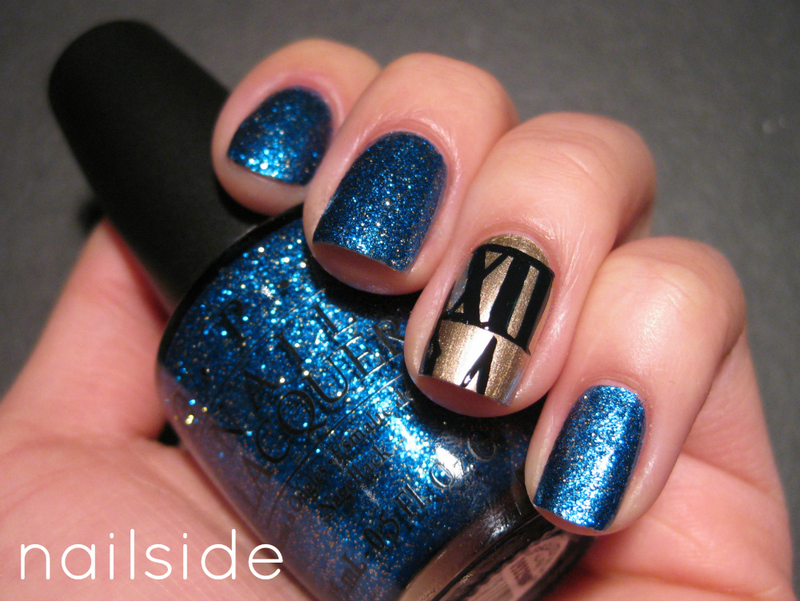 I love the roman numerals especially! That Orly Sweat Peacock is one of the prettiest blues I've ever seen - it screams superhero :O ! wow. that looks insane and i cannot believe that is freehanded, well done lady! Awww...this is o pretty. Love the color combos and design. You def did a great job on this mani. Love it! AA is beautiful by itself, but your design tops that! love it. 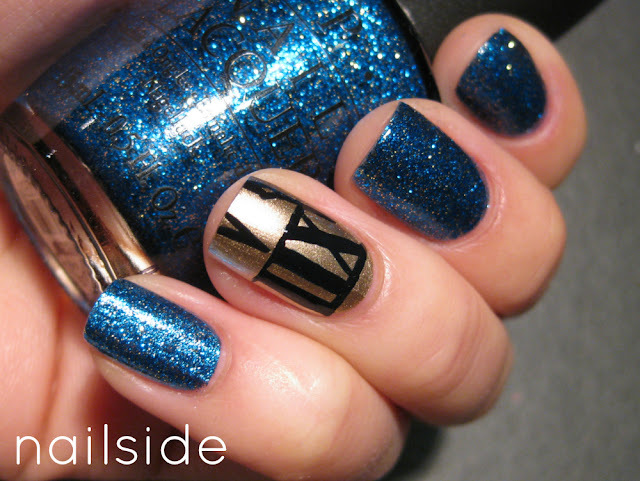 And that midnight blue glitter looks gorgeous too! I hope you'll show it to us soon! Where can I find the newest 31 day challenge? That is the perfect blue polish!